The default behaviour on a client PC for notification of a new application deployment is to pop-up a toast prompt for the user. These only last for a short time however and are often missed by the end user. With this in mind, Microsoft have added the option for a more intrusive dialog window for a deployment that requires a restart so that a user (hopefully) doesn’t miss this. There are two things we need to do to enable this. 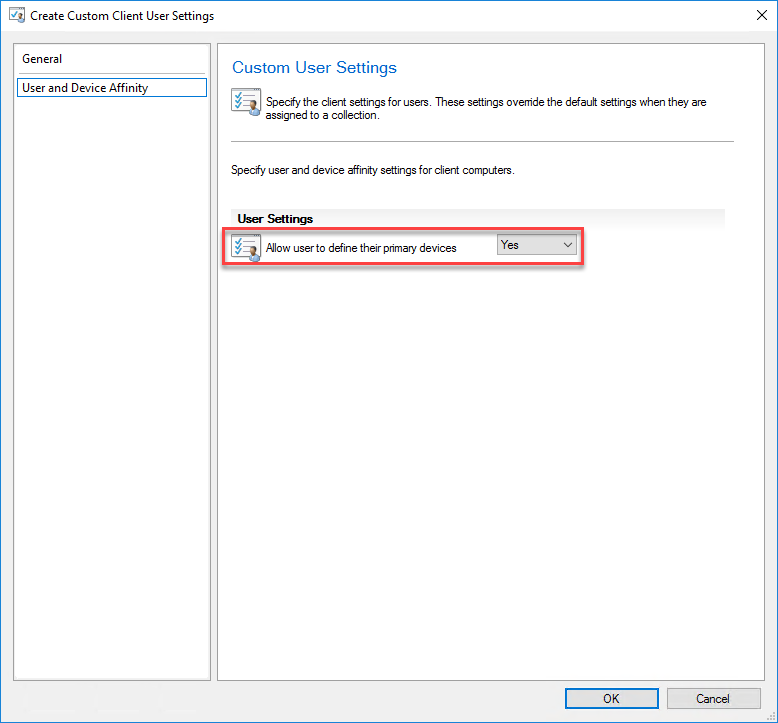 First we need to amend client settings so that all clients are enabled to use this option. 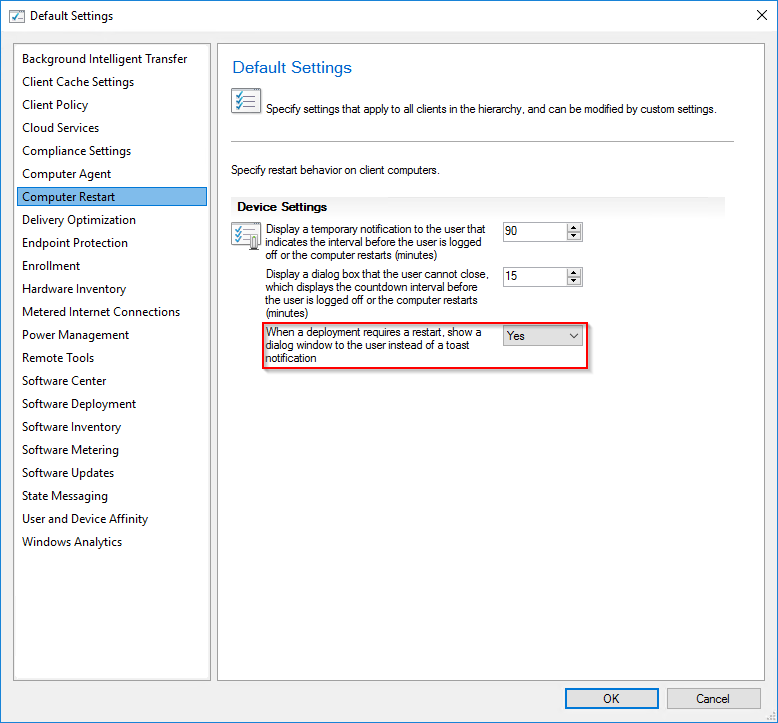 We must also enable the option within a deployment which is only available for use with a required deployment and is highlighted below. This materialises as a dialog that will hang on the screen like so. Whilst this is undoubtedly a great addition, I think I would like to see the wording on this changed to reflect that the deployment requires a restart which will be performed automatically. 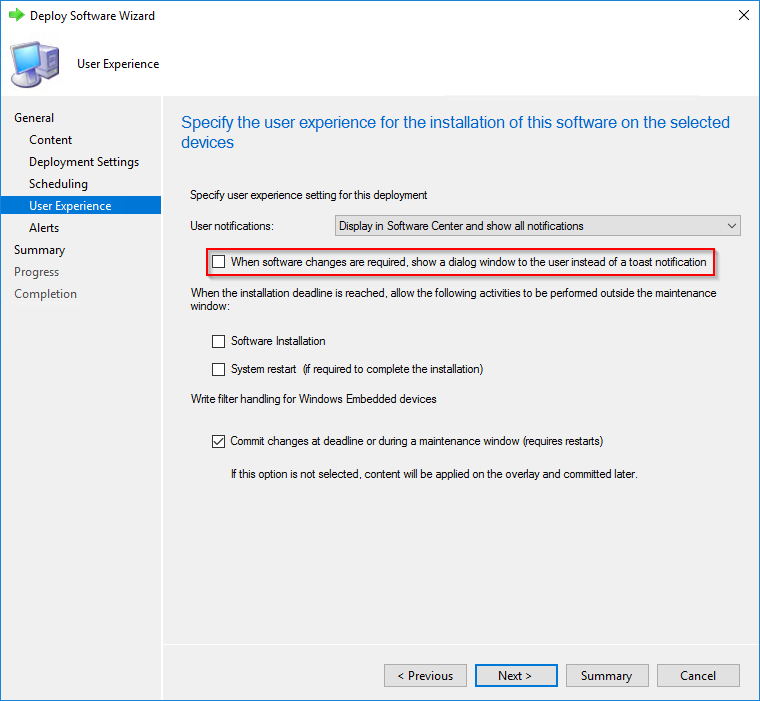 Microsoft have added the option in Software Center for end users to define their own primary device. 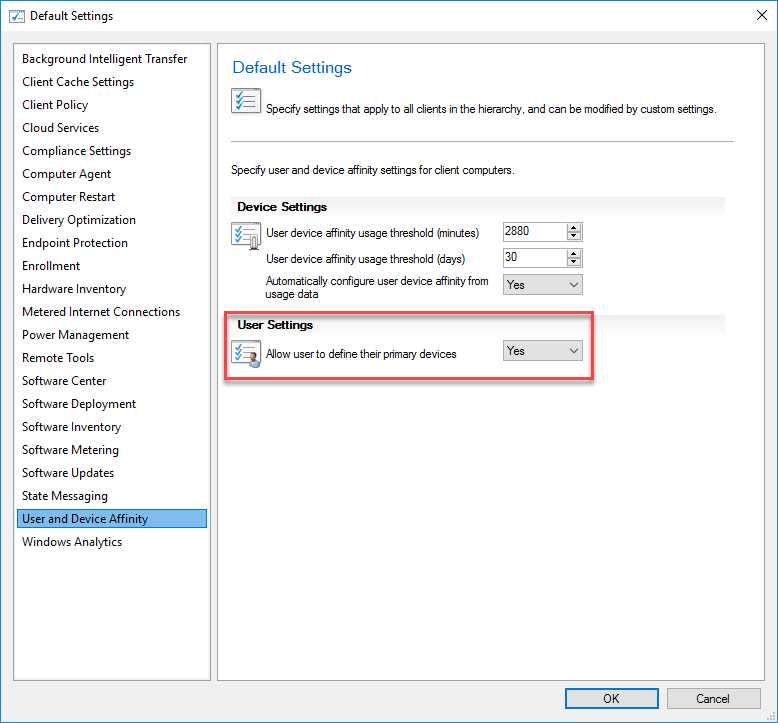 There is now a Client User setting which allows (or not) your users to set their own primary device through Software Center. 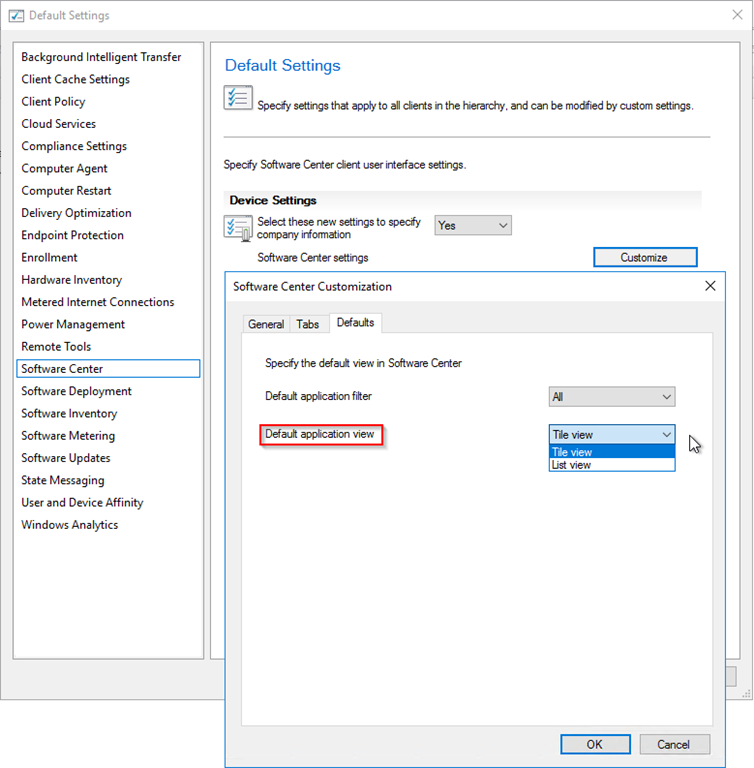 Now you will need to deploy that client setting to a user collection if you haven’t added it to an already deployed client user setting. I also noted that this setting appears in the default device settings. I’m not quite sure why at this stage but I will find out and update this post. We now have the option through Client Settings to set default application filters and views. This allows us to only show required applications or all applications by default and show these in either a tiled view or a list view. 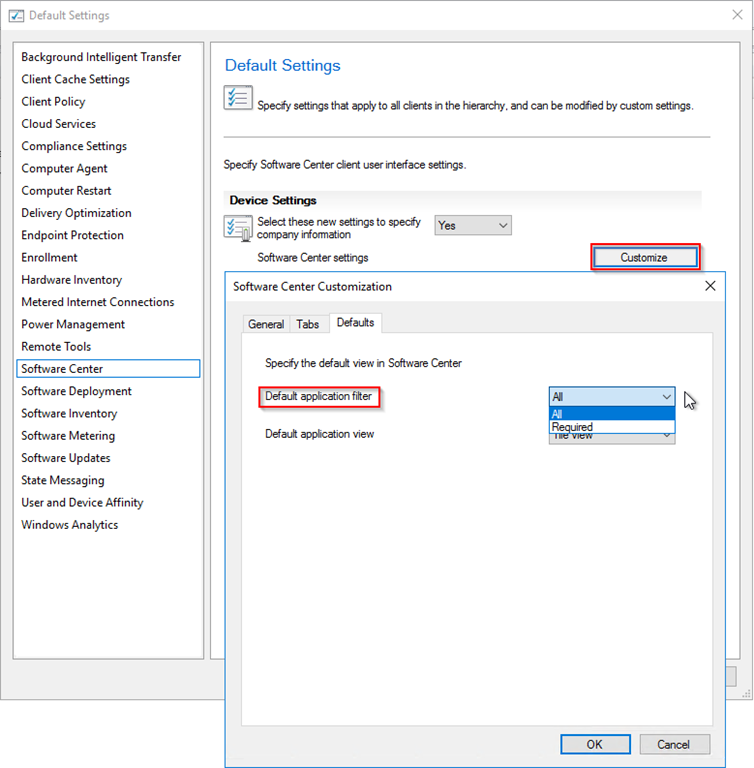 If an end user changes their preference for the application filter within software center, this persists only for the duration of the session and will revert next time software center is loaded. In contrast, if an end user changes the application view from list to tiled for example, this will persist next time that user loads software center. The end user can switch these views using the icons in software center highlighted below. We can also switch between All and Required as is also highlighted.